Home → SEO → Are Live Chat Pop Ups Bad for SEO? One of the most frustrating things I see when I visit a personal injury law firm’s site is pop up chat windows. These things drive me nuts, and I am a very patient web user. If they are driving me nuts, they are absolutely driving potential clients nuts, too. Google has toyed with the idea of penalizing people who use them for years and it looks like my wishes (and Google’s) are finally going to be coming true very soon. 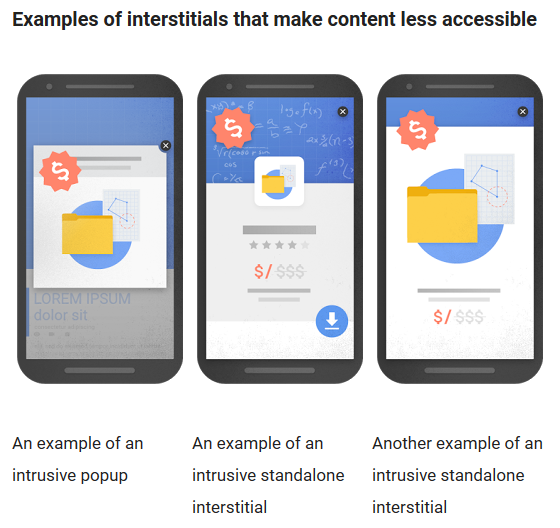 Google announced that “Pages that show intrusive interstitials provide a poorer experience to users than other pages where content is immediately accessible.” They are correct. And Google is all about connecting people with what they are looking for. Happy Google users mean they will keep Googling, and when people keep Googling Google keeps raking in billions of dollars. Are any pop ups good? I have seen a few “live chat” scripts that will sit at the bottom of the screen. These are fine. The point here is that your content needs to remain immediately accessible. Chances are, you need more injury content and more traffic from Google search anyways. This should be of drastically higher importance to you than a pop up. It depends, APEX and a few others charge $8-14 per real chat that is redirected to attorney intake. The best is to use open source, you can easily buy a lifetime license with unlimited users from open source or wordpress plugins. I’ve done that for other firms, even setup SMS and a ring alert. But you need good scripts to buy time. Sorry for my late reply. I can put together a ‘little’ study on this . A site I was working with ditched their live chat popup not long ago. I DO know the amount of contacts has increased, however, their rankings in Google have increased as well. Anyways, it will be a limited study, but I can definitely measure how it impacted time on site. I will email you when it is live.